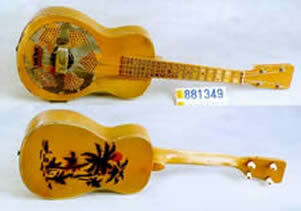 A resonator ukulele is a ukulele that has a thin, spun aluminum cone in the body. There is a wooden bridge (called a biscuit) perched on top of the cone. Now, on a normal ukulele, thesound board (top) does all the work - it has been carefully thinned to the ideal thickness by the maker. It is thin enough to vibrate but thick enough to resist collapse. When you pluck a string it sends vibrations through the bridge and into the soundboard. The soundboard vibrates, moving air through the body and out the soundhole to deliver a musical tone. 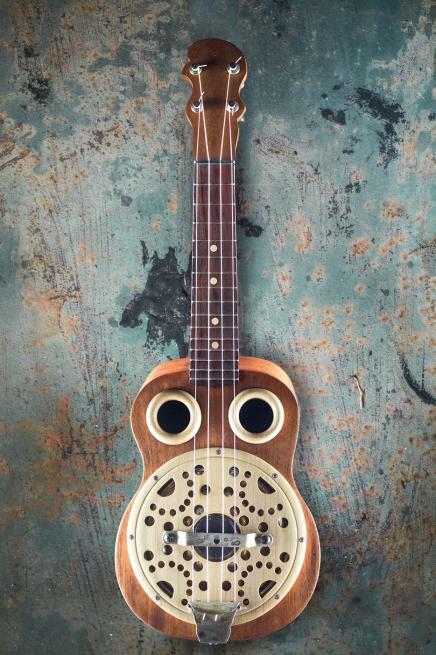 The body of the resonator ukulele, on the other hand, acts more like a speaker cabinet - its job is to support the aluminum cone, which in turn acts like the speaker cone in the speaker cabinet. The strings vibrate the bridge, the bridge vibrates the cone, the cone pushes air through the body and the result is a unique sound - a LOUD sound! The round thing with holes in it that covers the resonator cone is cleverly called the resonator cover - it protects the delicate cone while letting the sound pass through the holes. Attached to the reso cover is a little bridge-looking piece which protects the biscuit. I call it a biscuit cover. Resonator instruments were developed in the late 1920's in order to create a louder instrument. These were the years before electric amplification and musicians, then as now, were clamoring for more volume. It seems the horn players and drummers were drowning out the poor guitar players. 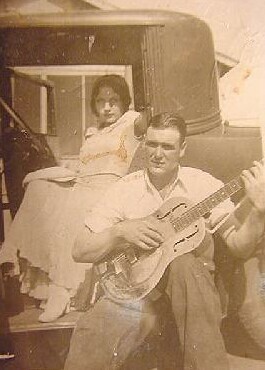 The resonator, or resophonic guitar, used a thin, spun cone made out of aluminum to act as a sort of a passive speaker cone. Soon, other stringed instruments got the resonator treatment: Tenor guitars, ukuleles, mandolins and even a few violins. A lot of resophonic instruments had bodies made of metal; others had wood bodies. I built my first resonator ukulele around 2005. I didn't really know what I was doing and there wasn't a whole lot of info available about resonator ukuleles - let alone any 'how to' articles! I have been sorting out the problems and coming up with solutions ever since. If you have any questions, please don't hesitate to email me. I look forward to talking with you.